The Towton is a contemporary variation on our classic 8-piece cap shape, often referred to as the generic bakerboy or newsboy cap. As with many of our styles, it features the security of a deeper back with the addition of an extended – studded – curved peak. We love them in our heavier tweeds, but they’re also available the linens (Foss & Twiss) for spring & summer wear. Received my Towton a few days ago. Can hardly keep it off my head. If you are looking for a true classic eight panel newsboy with a splash of contemporary panache thrown in, look no further. This is it. I could not be more pleased with this cap. The fit and finish are flawless; the fabric is gorgeous; and the pattern has been matched perfectly where the panels meet. With the deep back and extended peak, this is the first 8-panel cap I’ve owned that actually fits well while keeping the sun out of my eyes – and looks sharp. I’m ordering a second cap as a gift right now! I had five of these Caps made before Christmas in my own Tweeds and the service from start to finish was exceptional. From the guidance through the process to receiving the finished goods, I could not have asked for more. Top class service, exceptional quality, a perfect fit and a truly bespoke service that wins hands down. These caps beat anything that you can buy in large high street retailers purporting to be British made when they are in fact British cloth flown out and made up in China, with none of the truly artisan skills that these Caps are made with. 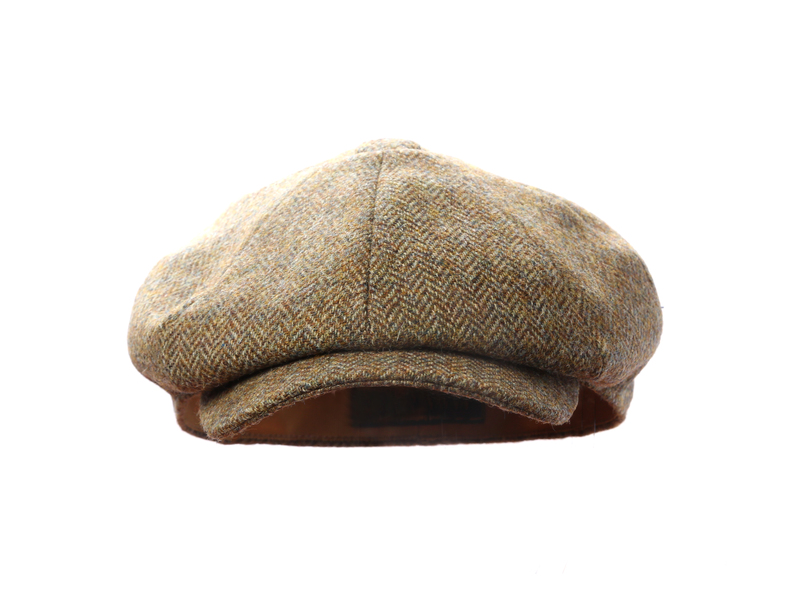 A Lawrence and Foster Cap is truly British.Made from British cloth here in Yorkshire. Fantastic! I had two of these caps made as a present for my 50th birthday and the quality, fit and style are all second to none. A great product, made from British cloth by Yorkshire craftspeople. What more could you ask for? Buy one now by order of the Peaky Blinders!